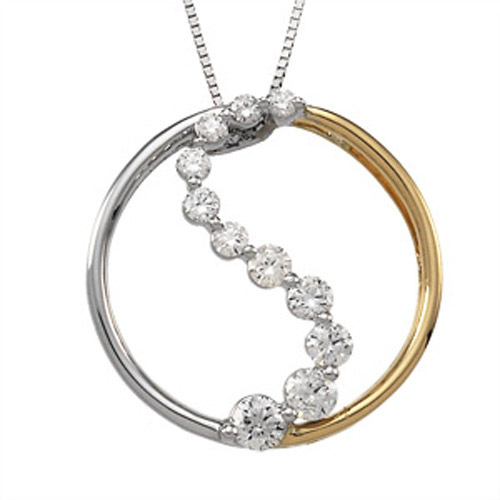 Desc: 14 karat yellow and white gold diamond circle necklace. The right half of the circle pendant is 14 karat white gold. The left half of the circle pendant is 14 karat yellow gold. Down the middle of the circle in a gentle, undulating ark is prong set diamonds.